Ashley Holland managed to haul her 4-year-old daughter, Macy, free from a sinking car and swim her to safety. 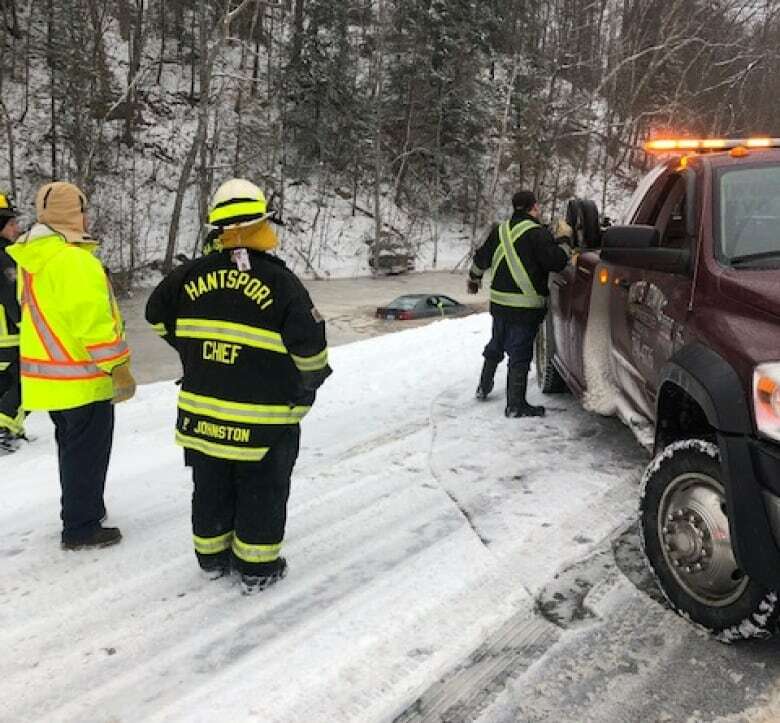 As her car skidded across black ice and began rolling down an embankment toward an icy pond, Ashley Holland thought she was going to die. 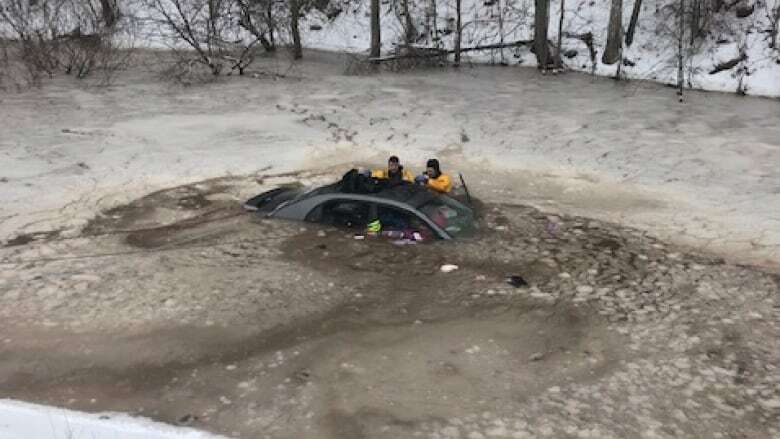 But moments later, the Hantsport, N.S., woman found the strength to not only save herself, but also her four-year-old daughter who was strapped in the backseat as freezing water rushed in. "When something like that happens, it's like your parental instincts just kick in, right? And you do what you need to do to get your child to safety," Holland, 24, told CBC Radio's Mainstreet on Monday, a day after the terrifying ordeal. 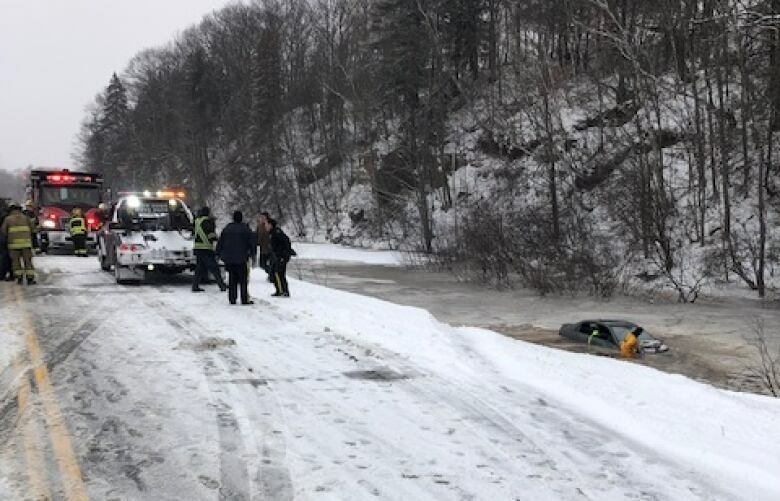 The mother of two managed to haul her daughter free from the sinking car and swim to a nearby embankment. "How they were even able to get out of that car was a miracle," said Capt. Ryan Richard of the Brooklyn volunteer fire department, who arrived at the scene shortly after the pair made it out of the water. "To be able to swim to shore and get up over that embankment is totally unheard of," he told CBC Radio's Maritime Noon. "I'll be honest with you, in my last 26 years I've been to many similar incidents and unfortunately they're usually very fatal." 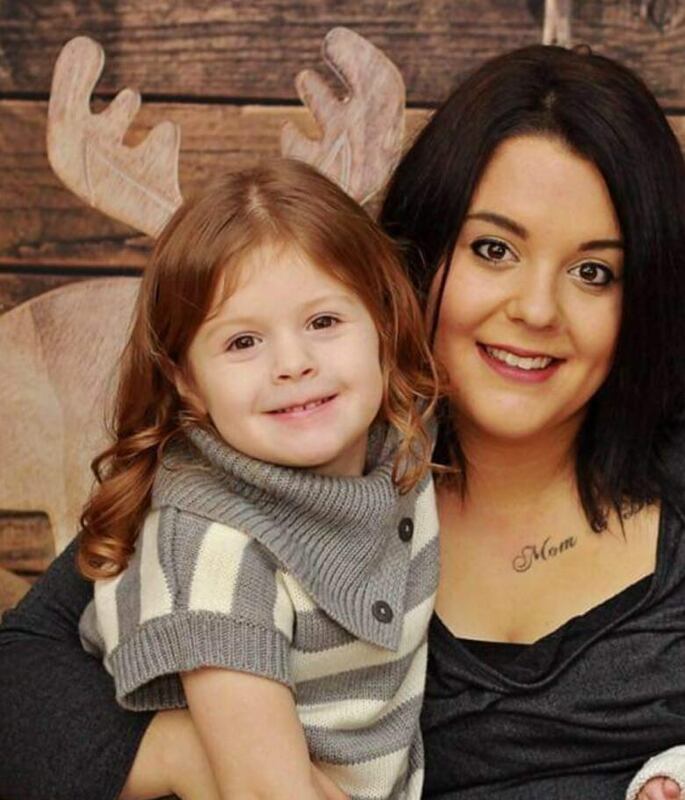 Holland had been taking her daughter to a birthday party around noon Sunday when she struck black ice just a few minutes away from her home. She lost control of the vehicle and it ended up rolling down an embankment. "Terrifying, completely terrifying. My daughter just started screaming and I was just thinking in my head, 'The water, please just don't go in the water, like please,'" said Holland. "Then we hit the water." As the car rolled, her daughter Macy kept screaming, "Mom, I'm going to die!" The car initially landed on its roof and both passenger side windows smashed to pieces on impact. Water started gushing in, filling up the Toyota Corolla. Holland unbuckled herself, falling onto the roof of the car, and crawled out a window into the water. She tried to open her daughter's door from the outside. "I finally did get it open, but I had slush and ice all over my hands and everywhere and my hand slipped and the door slammed shut. So I'm freaking out trying to think, what do I do?" For the briefest moment, Holland thought she wouldn't be able to save Macy. The car was sinking too fast. Her numb hands and legs were working too slowly. But she didn't give up. Holland climbed over the car and went back in through a window and worked with her daughter to free her from the car seat. Macy undid the top straps while Holland unbuckled the bottom ones. "I just grabbed her and pulled her out and I tried to keep her above the water. I didn't want her to be hypothermic. So from the waist down she was soaked, but I mean her hair didn't even get wet and I don't know how I did it." She managed to carry Macy to shore and push her up onto the embankment, but Holland's body had reached its limit. "It was really icy and slushy and I was having a really hard time because I thought I was going to pass out. I was freezing so I was having a hard time getting up the hill, and I just said to her, 'Run, you need to run, go,' because I saw there was a car coming our way and I didn't want them to miss us." As Macy flagged down the passing car for help, Holland managed to haul herself to the top of the embankment. The woman in the car wrapped Macy and her mother in a jacket and called 911 while the pair warmed up in the vehicle. At about the same time, a fire truck from Brooklyn drove by on its way to assist another fire department. Richard spotted something sticking out of the pond and had the truck turn around. They gave Holland and her daughter warm clothes and blankets while they waited for the paramedics. Richard said Holland and her daughter were hypothermic, in shock and disoriented. As a precaution, two firefighters put on diving suits and went into the water to make sure no one else was on board, but the car was empty. Holland said she was lucky she didn't take her 14-month-old with her or things could have been much worse. "You see stories like this on the news all the time, you know through winter and even in the summer, and it's like a lot of them don't make it," she said. "So I'm just thankful that, you know, we did."